The garden project continues in full swing. So full that I’ve hardly looked at anything this week that didn’t have petals or leaves. Except maybe the dirt surrounding our house–specifically, the dirt that surrounds my house vs. the dirt that surrounds my neighbors’ house. Our property is bordered on three sides by open space owned by the utility company. The other side includes a raised berm that runs between our driveway and the home of some sweet elderly neighbors who have lived there for thirty years. When selecting plants for the garden, we discussed the general plan for the space on our side of the shared berm. Our intention was to add more deer-resistant plants like the rhododendrons that line their side of the berm. (Our side consisted of bare dirt and an overgrown phormium on its last stick-like legs.) 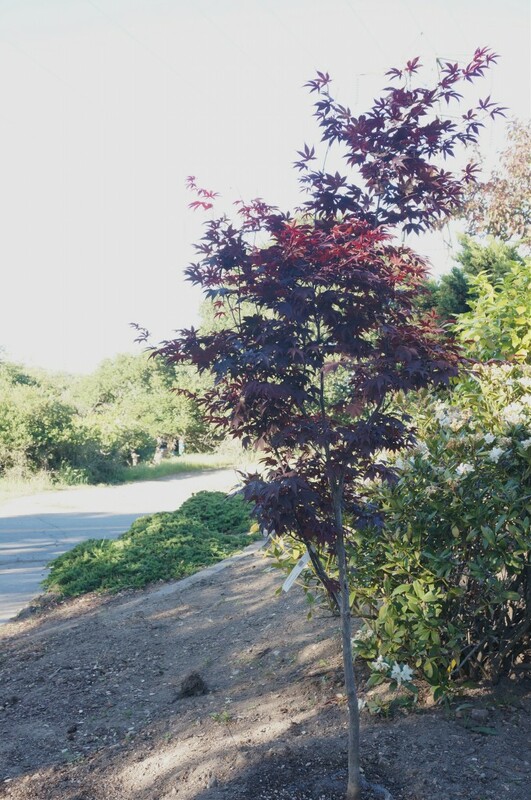 The neighbors agreed to the plan but then I inadvertently (truly) deviated from it by purchasing an especially pretty red maple while shopping for the back yard plants and planted it on what I thought was our side of the property line. 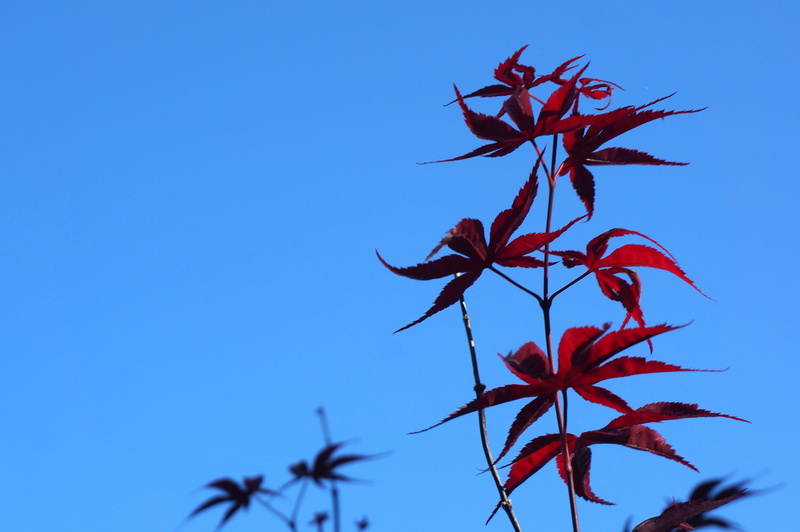 That red maple has turned into one especially pretty red flag. The neighbors had some concerns. (Again, have I mentioned they’re lovely people?) They thought the tree might be on their property and weren’t interested in maintaining it long term–even if their long term isn’t so long. I understood where they were coming from but thought that I’d planted it on our side and furthermore fully intend to care for it. We consulted the parcel map but it was hard to determine where the line fell. The property is oddly shaped with a triangular bit that extends over towards the neighbors’ house. All well and good if you know where any point of the triangle exists, but just by looking at the map it’s hard to make that out. Using a VERY long tape measurer and measuring from the back (we think) of our property, M.J. laid out a possible borderline but things were iffy enough that both sides agreed it was best to hire a surveyor to settle the matter. In the meantime we rebuilt the shabby little plywood fence at the edge of another border and painted it a neutral gray to disappear behind the plants about to be planted. It’s a low fence–only three feet high. 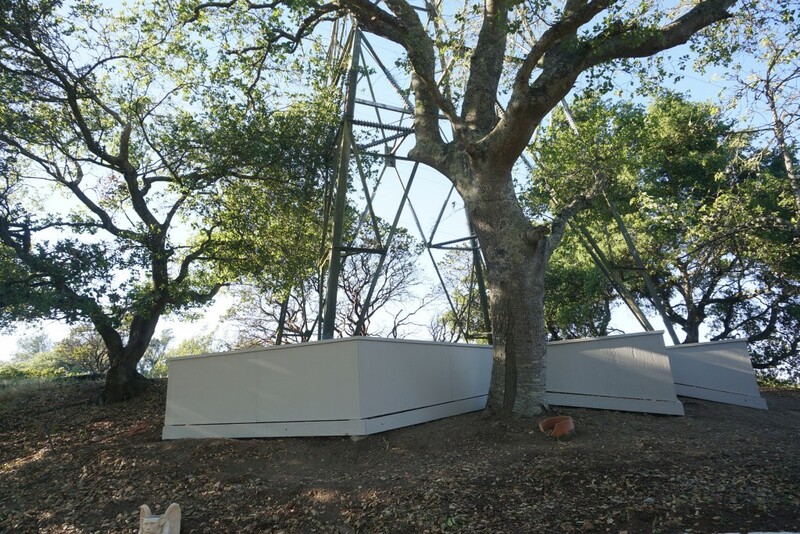 But it serves as a screen to block the view of the large cement blocks that anchor a transmission tower that stands in the utility company open space. Clearly this little fence would do nothing to stop that tower from tumbling down in the case of an earthquake or prevent trespassers from leaping stepping over it. But it quietly suggests that the massive tower footings and strangers (there’s no hope for the deer) belong on the other side of the fence. Guess we have some border issues as well. This week when I bought the rest of the new plants I purchased two especially pretty red rhododendrons as a peace offering to the neighbors. 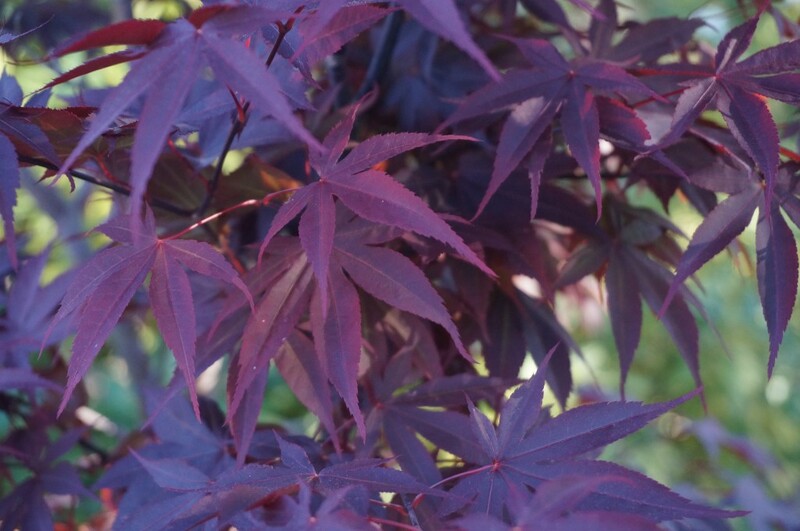 We’ll plant them on the to-be-determined border in front of their kitchen window where before there was only dirt and if we have to we’ll adjust the maple placement to make sure it’s definitely on our side of the line. We’re doing our best to make everyone happy with their lots in life. Thinking a Calder-like mobile in the new garden could be cool. Could these be the ultimate oatmeal raisin cookies? Have you settled on your work uniform? How one casting agent changed pop culture. This entry was posted in Shelter, Style, Sustenance and tagged borders, clematis, cookies, gardens, movies, television, trees, uniforms. Bookmark the permalink. Post a comment or leave a trackback: Trackback URL. Ah. The issues of borders. And how about visual borders, when someone adds a second story for example? These things can be tricky, she says, and moves her mouth sideways;).